Don’t let a wrecked vehicle wreck your finances. Guaranteed Asset Protection (GAP) is a great way to protect your finances if the value of your vehicle is less than the amount of your car loan. A good rule of thumb is to assume your new vehicle will depreciate on average 20% the first year you own it, half of which occurs the minute you drive it off the lot. * This leaves a gap between what you owe on your loan and the value of your vehicle if it’s deemed a total loss due to an accident or theft. Our GAP program can help fill the gap between what your vehicle insurance will pay and what you owe on your loan. Contact us today at 906-632-5973 to learn more about adding GAP to your vehicle loan so you can worry less about tomorrow. *Car Depreciation – 5 Things to Consider, CARFAX, May 18, 2017 Your purchase of MEMBER’S CHOICE™ Guaranteed Asset Protection (GAP) is optional and will not affect your application for credit or the terms of any credit agreement you have with us. Certain eligibility requirements, conditions, and exclusions may apply. You will receive the contract before you are required to pay for GAP. You should carefully read the contract for a full explanation of the terms. If you choose GAP, adding the GAP fee to your loan amount will increase the cost of GAP. You may cancel GAP at any time. If you cancel GAP within 90 days you will receive a full refund of any fee paid. GAP purchased from state chartered credit unions in FL, GA, IA, RI, UT, VT, and WI, may be with or without a refund provision. Prices of the refundable and non-refundable products are likely to differ. If you choose a refundable product, you may cancel at any time during the loan and receive a refund of the unearned fee. GAP purchased from state chartered credit unions in CO, MO, or SC may be canceled at any time during the loan and receive a refund of the unearned fee. GAP purchased from state chartered credit unions in IN may be with or without a refund provision. 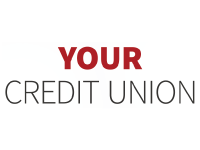 If the credit union offers a refund provision, you may cancel at any time during the loan and receive a refund of the unearned fee. GAP-2178975.1-0718-0820 © CUNA Mutual Group, 2018. All Rights Reserved.